Adorable 14k gold footprints locket. 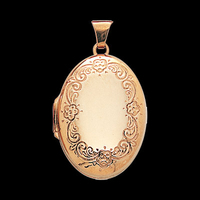 This oval gold locket measures 17mm before the bail and features an engraved sentiment on the back, "When you saw one set of footprints, it was then that I carried you". Footprints are rhodium plated for a nice contrast. 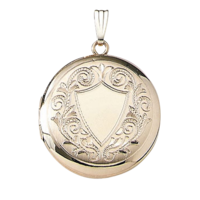 This locket will hold 2 precious photos. 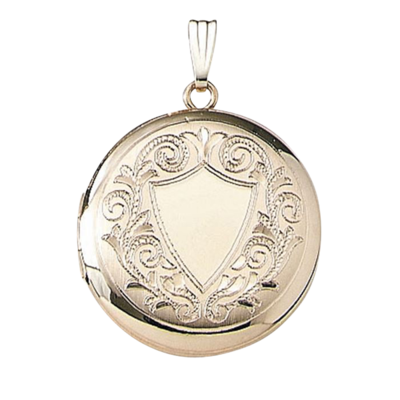 Round Shield Gold Locket. 14k Gold Round Locket with a Lovely design bordering a center shield. 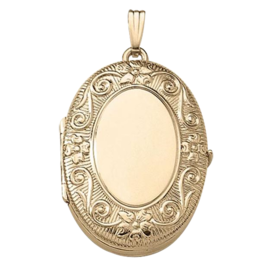 This unique locket will hold 2 photos and we are including an 18 inch Gold chain. 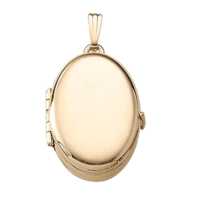 This locket is almost the size of a quarter at 23mm in diameter. Will come to you in a Velvet Gift box. Engraving available on this locket. Engraving adds 2-3 business days to shipment of your order. Lockets are always a great gift idea and we have many, many great styles and sizes in 14k Yellow, two tone, or 14k White gold. A locket becomes incredibly personal to it's owner. They are often passed down from generation to generation. 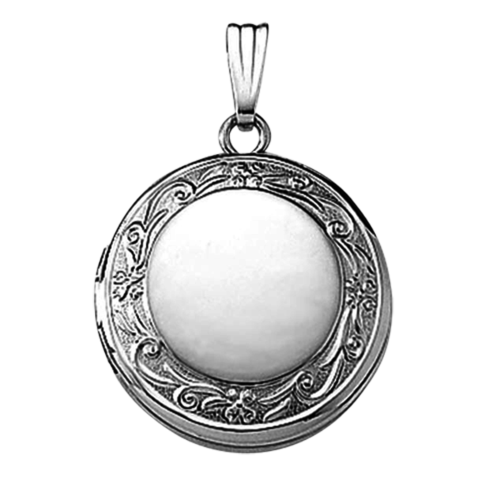 In ancient times a locket was used to keep medicine or even poison inside, others for herbs to ward off evil and sickness. 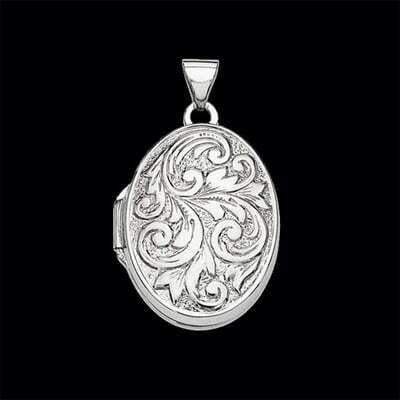 Often hair or ashes of a loved one was kept in a locket. Pictures in lockets started as tiny hand painted images, today of course we put photos in our lockets. Our lockets of today are made in exciting shapes and fancy designs but still keep our special memories safe. 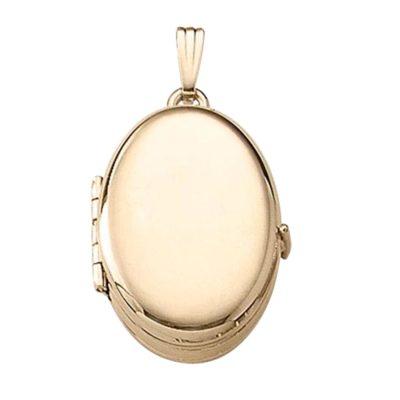 Throughout the centuries, lockets have been a well-loved accessory by women from all walks of life. Three of the most popular lockets are the ones for keepsakes, photos, and perfumes. 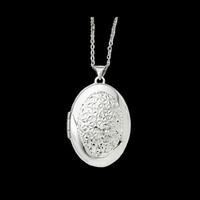 If you or your loved one is the type who loves sentimental gifts, a locket from Gracious Rose is the perfect choice! 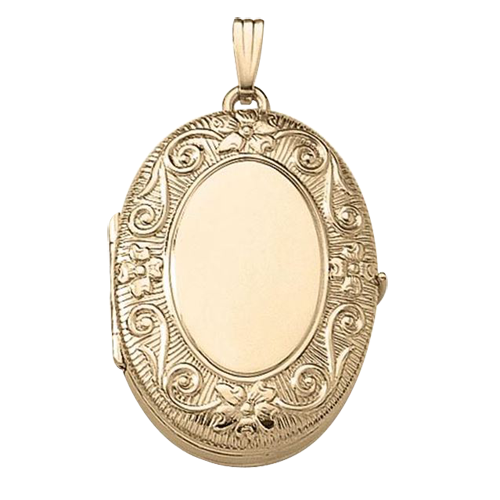 A locket is a pendant that opens up, giving the bearer a small compartment to store tiny memorabilia like photos or other objects. During the 1840’s, people from the upper-class are able to afford to have hand-painted or daguerreotype photos (photos which are fused to glass) on their lockets. Advancements in technology eventually made it easier and less expensive for people to personalize their lockets, making it even more special for them. A perfume locket is a type of locket that may have either a cushion on the center that can hold a few drops of a woman’s favorite scent or a highly-scented soap or wax. 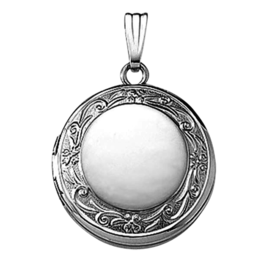 These lockets provide an aromatherapy benefit to the bearer. During the Victorian Era, the most popular types of lockets were the round and heart-shaped ones. These came adorned with gemstones, diamonds, or pearls, and even had intricately-engraved monograms. 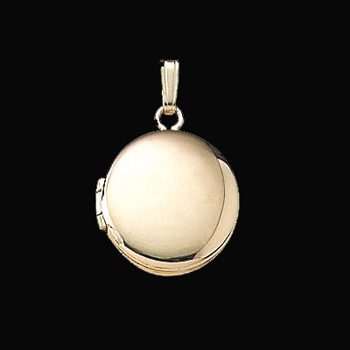 In some cases, ashes of deceased loved ones can be placed inside a sealed locket for remembrance. Queen Victoria chose to place a lock of hair from her deceased husband as she mourned his death, which later became a Victorian mourning tradition. Gracious Rose features elegantly hand-crafted lockets to suit your style and personality. Browse our collection and you will find both modern and classic designs that would make meaningful presents for your loved one. Even before she knows what’s inside, she’ll surely have a smile on her face when she sees the beautiful gold locket that you chose for her. 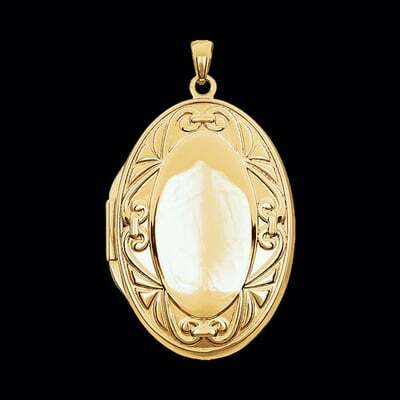 Gracious Rose features a wide array of gold lockets to choose from. Whether she likes an elegant scroll design, something antique-looking, or a large polished locket, you will find a one-of-a-kind present for the special woman in your life. You can also choose the best type of chain to suit the gold locket of choice. Variations of 14k gold chains like gold bead, diamond cut wheat, rope, Byzantine, or the boa snake chains are available at graciousrose.com for a convenient shopping experience. You can also have the insides if your locket engraved with a meaningful message or a fingerprint for a more personal touch. Whether you are thinking of giving a locket as a pendant, a bracelet, or as a keychain, you’ll find the most unique designs at Gracious Rose, which you can even have personalized by engraving a sentiment inside. Our gold lockets are made with precious 14k gold to stand the test of time, making it a gift that one can cherish for a lifetime. 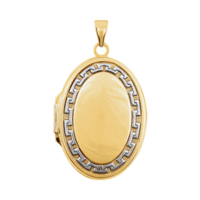 Show your appreciation and buy a gold locket for your special someone! Our customer service representatives are always ready to help you out!